Mr. Doval was visionary Officer, thinking differently, with the out of the box ideas.When I was posted under him at New Delhi, a year or so later, I saw in him more as a friend rather than an Officer. He was truly democrat trusting his subordinates as much as his seniors or colleagues. Once when he entered our room where about six officers sat, he came and talked to everyone. When he came to my table, I swiped my finger on my desk and said that the cleaner (Peon) diligently avoids our room while cleaning. He looked at me and said Ok. He said OK benevolently. Five minutes later he called me in his room and said that the cleaner (Peon) is placed directly under me. You can get the job done your way. No other Officer would have thought of this approach. Another time while talking to all the subordinates, he asked one of them why he comes late everyday. The subordinate said that he has a big family and since a Punjabi women (his wife) is not sent out to fetch water from the street tap, he has to do this chore every morning and he gets late. He asked the subordinate to come late by one hour but compensate in the evening. That was his way to treat the subordinates. He thought that the rules are for guidance and not a stick to beat the subordinates. A number of Executive Officers working under him (including me) had to go to Punjab for operational work and had to stay put for a couple of days or even weeks. At the All Hands meeting one of the Officer complained that since he has to stay out for days together, his family work suffers as his wife cannot manage everything. Mr. Doval saw a point in this complaint and said "OK all executive Officers who go to Punjab will get two days Off after the day they return to Delhi and will be paid something extra for their hard work in Punjab." This encouraged the officers to work more and the beginning of the end of terrorism in Punjab was thus initiated by Mr. Doval. Hun main tuano Kood nahi bolanga" (I will speak only the truth now) And for the next one month that functionary spoke truth and only the truth and the result was breaking up of Punjab terrorist movement within the next one year. It was Mr. Doval's planning under which the above functionary was lured back in to the arrest net after he had excaped to Punjab. Mr. Doval never differentiated between IPS and non IPS officers, a malady which is eating into the bones of the Govt. machinery. He would eat lunch with all people of the group and anyone with an idea received his full attention. He wanted that work should be done, cost should not be impeding factor, another malady in the government functioning. Once when I complained that a Govt. car was not available for going for some task, he said that I should have taken an auto or a Taxi instead of waiting for the Govt. car.He never questioned our expenses till the time he found that an officer was claiming some expenses over a long time without any results. He asked us to think big and not like a government Babu.The only things he did not like was shirking and talking wrong. He knew almost every street of Punjab and hence when someone tried to bluff him, he was politely asked to leave his group (Department) and take some other posting. A Govt. 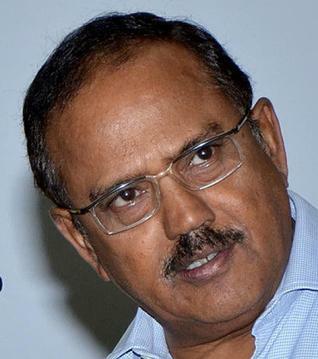 Department or a Ministry is a small arena and National Security is a big and international subject but Ajit Kumar Doval has a vision, compatibility, knowledge, shrewdness to do justice to the trust imposed in him. Some part he had already played during the recent visit of heads of SAARC states, more particularly relating to the talks our PM had with Nawaz Sharif, the Prime Minister of Pakistan. We all wish You Good Luck, Sir. There is no dearth of talented, sincere people. It is only when the Head starts compromising for saving his/her chair that circumspect people creep in and the rot starts setting in. We hope the present dispensation rises above all this and does their job dutifully as per their oath during the oath taking ceremony.